Swinging is the name of the game on the Creative Playthings Playtime Classic Swing Set II. Kids can swing high in the air on one of the 2 sling swings, do flips on the trapeze rings, or swing across the monkey bars for hours of fun and exercise. 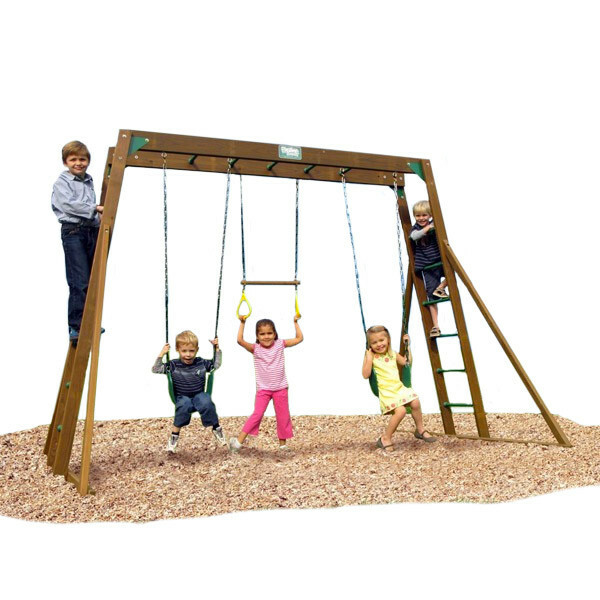 While this is a basic swing set it still looks great and is constructed of high quality lumber and materials. Accessories come with either rope or chain attachments. 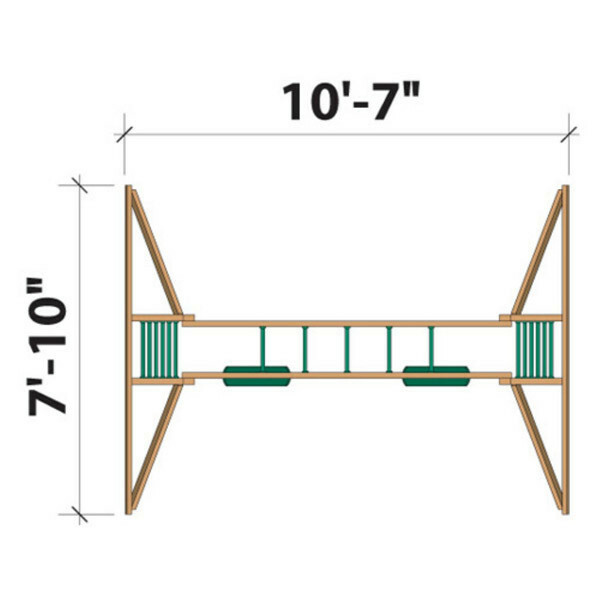 When you order this classic swing set from Creative Playthings you'll get all of the lumber and hardware you need for easy assembly. Each piece of lumber for the monkey bars and end braces comes cut to length and pre-drilled for a thru-bolted, flush fit. Lumber is also stained, sealed, and pressure treated along with hardware being corrosion resistant. It is important for consumers who use this swing set to remove the accessories before utilizing the monkey bars for safety. We want to make sure that you get your order in a realistic and timely fashion, which is why it is important to us to have first-hand knowledge of your order from start to finish. Most of our products ship directly from our Atlanta, Georgia warehouse and corporate office while others come directly from the other manufacturers we are associated with. From the moment of purchase it typically takes less than a week to ship your Creative Playthings products. Due to the large size of most of the products we deliver, a freight forwarder is used to get your swing set to your doorstep. These freight carriers will contact you to set up a delivery time so you can be there at the time of their arrival. They will drop the products at curbside and cannot move them into a garage or to a backyard. 99% of our customers can take advantage of our flat rate shipping. However if you live in a remote area of the United States such as islands with limited access, Alaska, or Canada your products may be subject to additional shipping charges. International customers may also incur some extra charges and you will need to send us your shipping information and zip code to get more information about shipping. Your Playtime Swing Set comes with a 15 year limited warranty on hardware, parts, and accessories, while the lumber in your playset is covered by a 10 year warranty. This warranty applies only to the original purchaser and is subject to normal use. Playtime warrants that all products will be free from workmanship defects for a period of one year from the date of original purchase. If defective parts are returned within a 30 day period, Playtime will repair or replace them free of charge. However, the damaged parts must be returned for inspection and will be returned free of charge. No returned merchandise will be accepted without prior written approval from Playtime Swing Sets along with a dated proof of purchase. This warranty only applies to products that are subject to normal use. 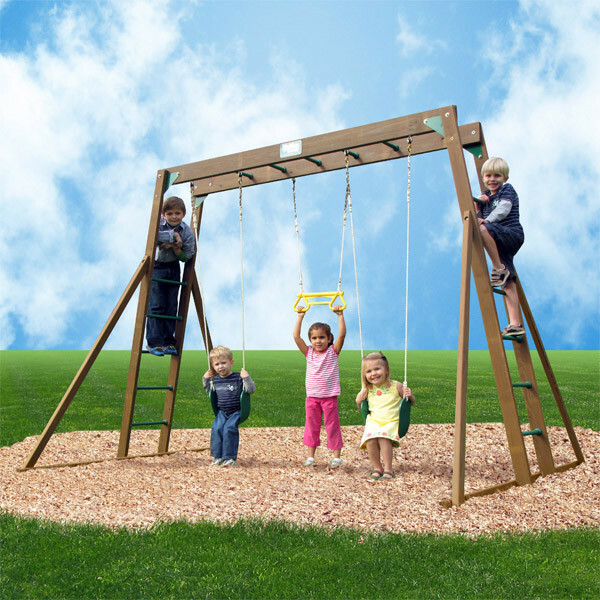 Playtime Swing Sets are designed for residential installation only and will not be under warranty if used for commercial applications. Warranties do not cover any modifications done to the play set or seasonal defects that are natural characteristics of all outdoor wooden play equipment. Consequential damages such as vandalism, acts of God, improper installation, or cosmetic defects that do not affect the structural integrity of the unit are not covered under the limited warranty. For more than 50 years, Creative Playthings has been manufacturing and selling quality wooden swing sets for residential, backyard use. They pride themselves in designing playsets that are "safe, secure, and fun" for kids of all ages. They are made to fit a wide range of budgets and backyard sizes. 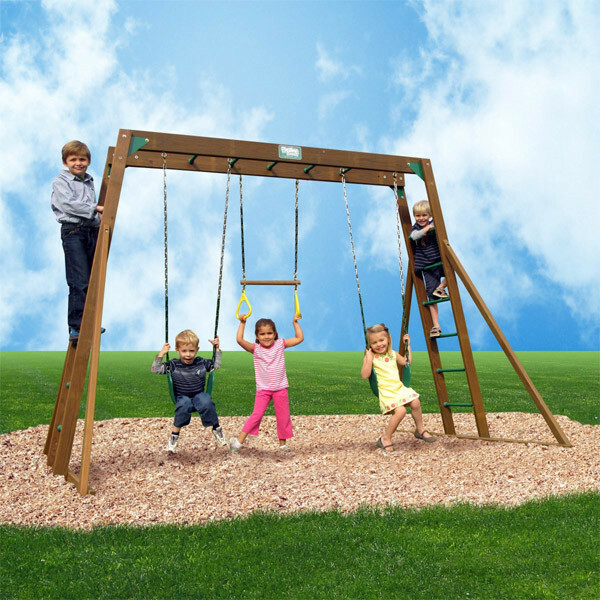 You can be assured that when you have a Creative Playthings swing set in your yard that you will not only have some of the best craftsmanship and superior materials, but your kids will have a playset that will help build their imagination and provide hours or fun.